Mrs. Hester's Classroom : My First PBL Unit - Day 2! My First PBL Unit - Day 2! Here's DAY 1 of the unit if you missed that post. On Day 2 students arrived in class and finalized their questions in their teams. 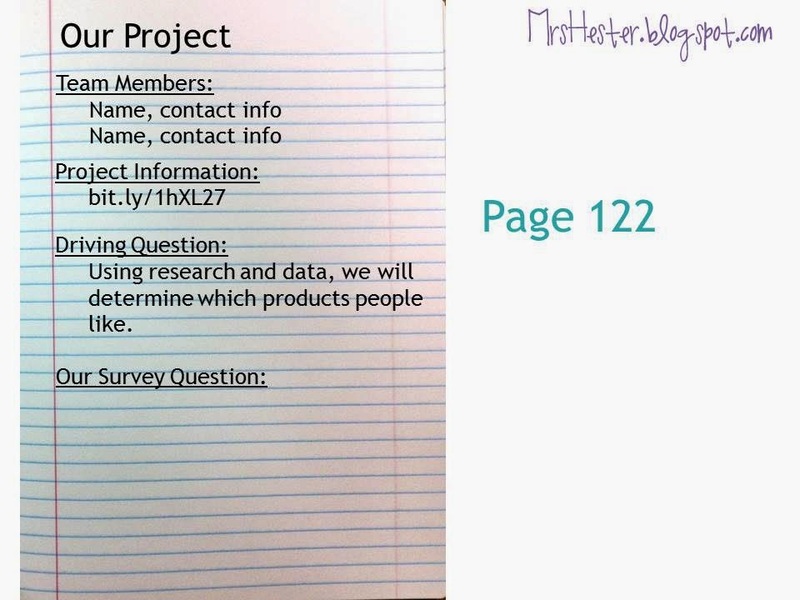 We completed page 122 in our notebooks about the project. Here is the slide I put on the board to help direct students. Once each group finalized their wording and choices, they emailed me their questions. I quickly compiled all the questions into one document and made sure formatting was cohesive. I printed each student one copy of the survey to use. We talked about how we needed a lot of data but didn't want to ask a lot of people. We decided that each student would ask all of the survey questions to 10 individuals, making sure they hadn't already been asked the questions from another classmate. 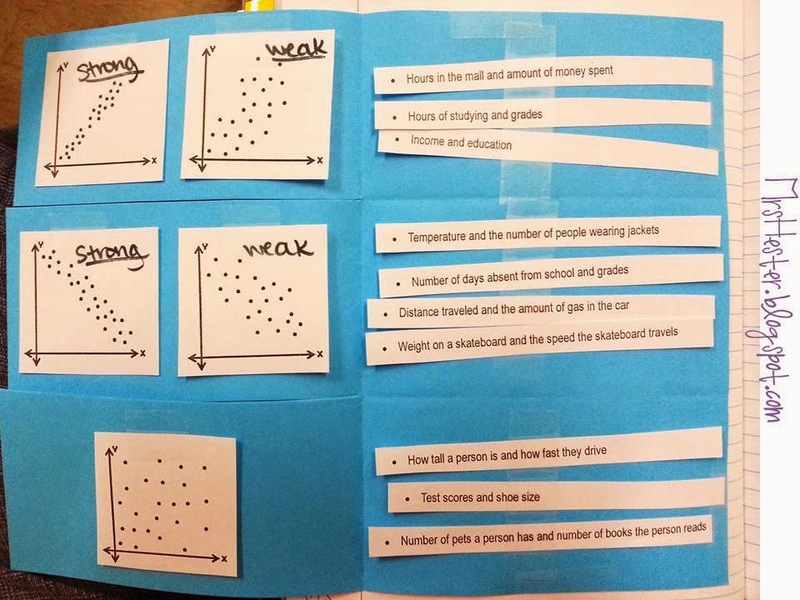 When we come back to class next time and compile our data, every team will have 200-250 pieces of data! Perfect. We also briefly discussed biased data and how we need to make sure to collect random samples. We also need to ask our questions without swaying the participant's vote. Each class of students decided that just asking the questions wouldn't get us a good survey - people would be influenced and pressured to vote a certain way. Guess that high-tech way each and every class period decided to use to be anonymous in our surveying? The good 'ole Heads Up, Seven Up approach! Heads down on the desk, eyes closed. The surveying group read their question and answer choices and then recorded the votes. It worked quite well!! HA! I'm just glad they recognized bias and came up with a solution to prevent it! 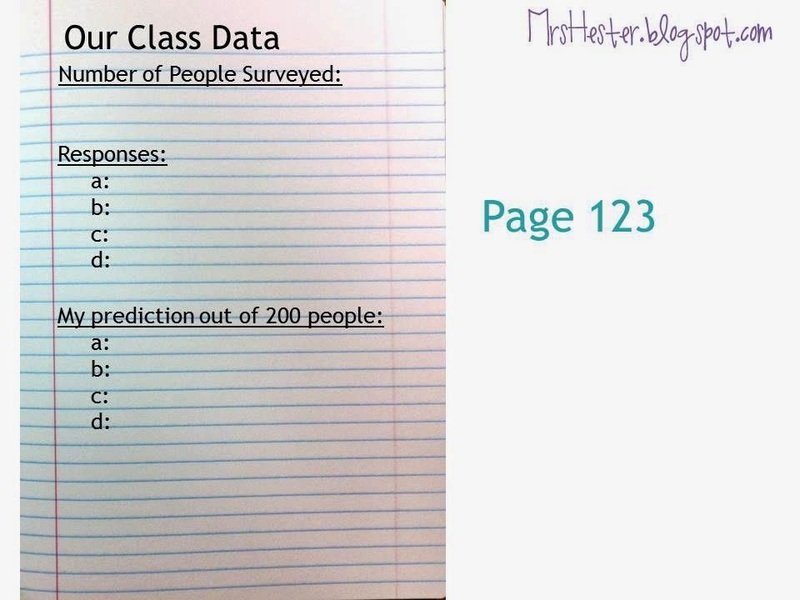 After the class surveys, each group used their data to predict for a larger sample size. I didn't direct the students about how to predict, so groups used different methods (find percent and multiply, set up proportions, use some logic). Worked for me! They all did something mathematically relevant so I am happy. Since our next step was to survey people outside our class, we went ahead and created a foldable to cover some vocabulary. I have used this foldable for two years now, with a couple tweaks, and really love it. The idea is originally from Sarah at Everybody is a Genius, found here. 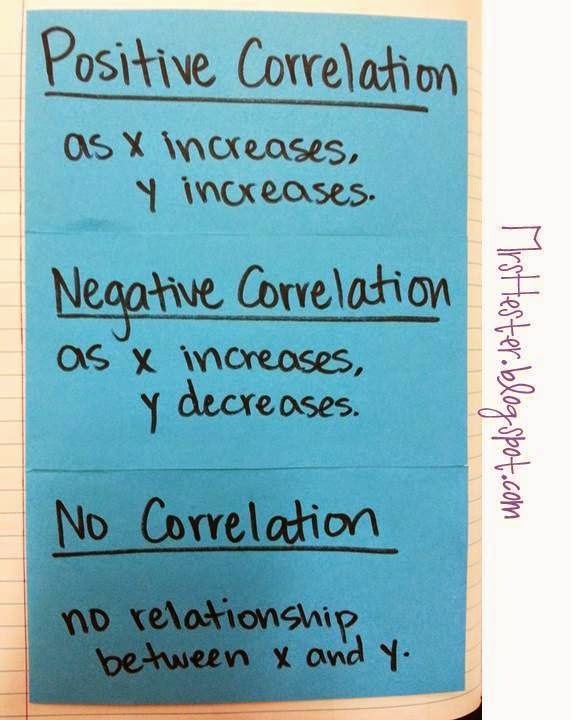 Next class, we will compile our data and begin to do some mathematical analysis! UPDATE: Day 3 is here. My First PBL Unit - Day 4! My First PBL Unit - Day 3!